I'm really tall. 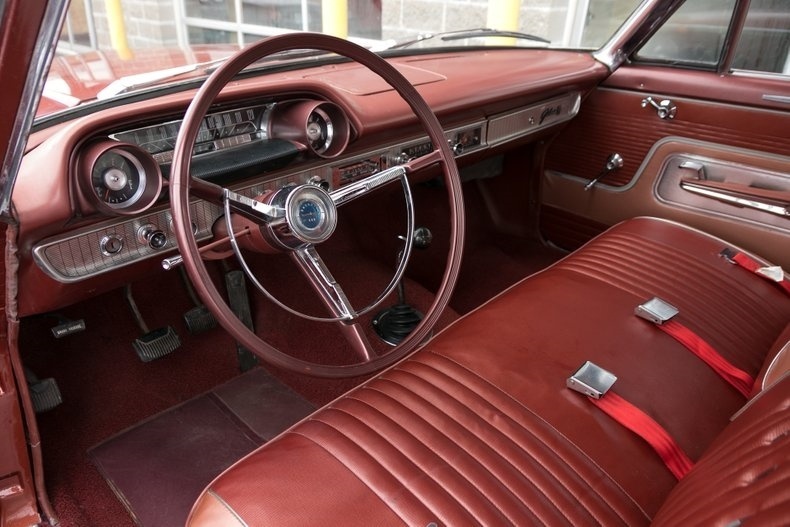 On my first 63 Gal, bench seat 4 speed, I had no problem with leg room and such. Admittedly I was 80 pounds lighter then but just as tall and just as long in the legs. On my latest 63 Gal, bench seat 4 speed, I have no leg room. When trying to get my left foot on the clutch pedal my left knee hits the steering wheel first. I can probable lower the pedal a bit, but that alone wont do it. The seat slides well and seems to be back all the way on the track. I think I'm going to need to re-mount the seat inches back to be really comfortable. --- Has anybody done this before? Is there anything in this scenario I'm missing. Any feedback is appreciated. ---- The first thumbnail with the garter is my first 63. You might do a search for this I remember the topic from some time ago. Thanks. --- Tried several search words & phrases, no luck. If you happen to find that discussion send it my way. Will do, I know it's been a topic, have you tried Google. I have better luck finding things on this site just using Google search. and like mentioned before, google as i'm sure several have done it as these cars weren't built for the people of today with longer legs and larger middles! Always be yourself, because the people that matter don't mind, and the ones who mind, don't matter. I welded tabs to the frame of the seat I only had to move it about 1 inch that made a lot of room. OK, Take another look at the two pictures I originally posted. Maybe I found a lead to part of the legroom problem. This link I'm adding here to Mac's is for Mac's identical replacement steering wheel for my Gal. It says 16 inch OEM diameter. The stock wheel on this new 63 Gal is 17 inches. 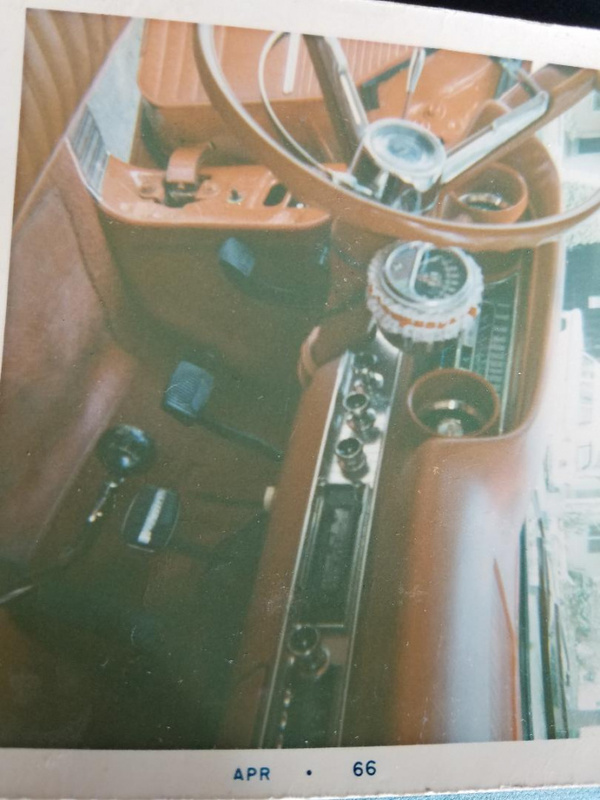 https://www.macsautoparts.com/ford_m...64862530248969 In the 1966 picture with the tach & garter you see a power brakes pedal. I think the car had power steering also, 55 years ago and I cant honestly remember. In that picture it almost looks as if the wheel is even more dished also???? ---- My new car was born G code 406 with no power steering. Could it be that with no power steering you got a bigger wheel to help turn it. And possible to make things worse the bigger wheel if flatter too???? What do you all think??? The steering wheels are big, a smaller one would make a big difference also that's for sure! Can anyone measure the diameter of their own stock 63 steering wheel, 16 or 17. Also do you have manual or power steering. Please post. 63 gal. power steering . 16 inch dia. Yep, my 1964 is 16 inch too. Power steering. I think the manuals were 17 inch but not positive. Well OK. I pulled off the side seat trim to best look under the seat slide track area. I could tell that moving the slide or whole seat pedestal back would be above my pay grade. Will be taking the Gal to a custom upholstery shop for the mod. My 17 inch non power steering wheel surely has not helped. Last edited by fordwilly; Yesterday at 06:37 PM.